There isn't much way to sugarcoat it, but the Season Pass offerings for Batman: Arkham Knight have been a little underwhelming thus far. The Batgirl story DLC felt like a mediocre offering and that was followed by the Red Hood add-on that was previously offered as a pre-order. This month's offerings will either make things better or make Bat-fans gnash their teeth even harder. The August Season Pass offering from Rocksteady Studios will add some new Batmobile races, but they won't center around the Arkham Knight-era Gotham City. Rather, they'll be set during the era of the Tim Burton Batman films, including a race around a Batman Returns Gotham filled with penguins with rockets strapped to their backs. For extra nostalgia, the Batmobile will be decked out just as it was in the Burton movies and can even be taken for a ride in present-day Gotham... assuming you've removed all of those pesky tanks that are roaming around. The August offerings will be rounded out by six new character skins: 90s Catwoman, One Year Later Robin, Arkham Origins Batman, Iconic Grey & Black Batman, 70s Batman, and Original Arkham Nightwing. For those that remain disappointed by the Season Pass content thus far, September may prove to be a better month. 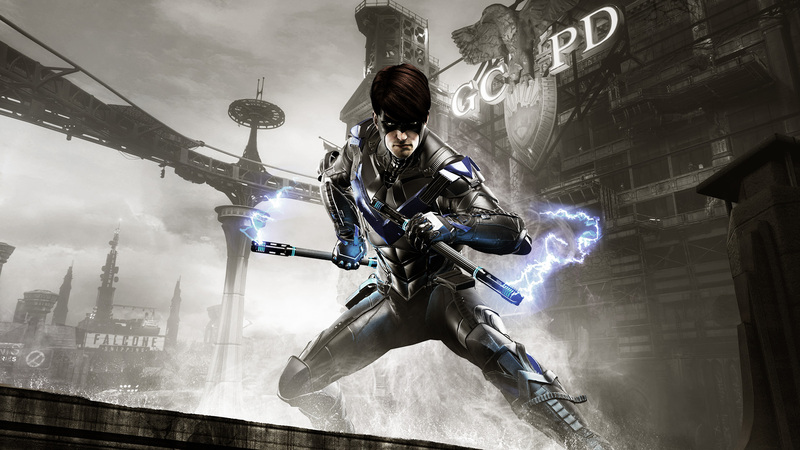 Warner Bros. is teasing a new story pack called GCPD Lockdown, in which Nightwing attempts to foil a Penguin break-out attempt following the events of the main Arkham Knight story. Six new AR challenges for Batman, Nightwing, Robin, and Catwoman will also be included, as will the Tumbler Batmobile from the Christopher Nolan Dark Knight trilogy and the original Arkham Asylum Batman skin. For more on what's coming this month, check out the video below. You're telling me. I had really high hopes for that Batgirl DLC, too. Me too :( it wasn't even bad, just really underwhelming. I do like the look of the 1989 Batmobile. Best batmobile! That or the 90s TAS batmobile, which is very similar.